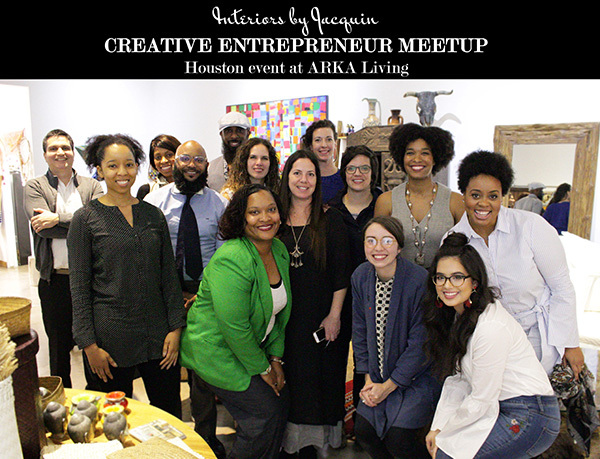 Interiors by Jacquin has launched an exciting event series called the “Creative Entrepreneur Meetup” and has just hosted our first event in this series in Houston, TX. The event took place at ARKA Living which specializes in beautiful, modern organic furniture. 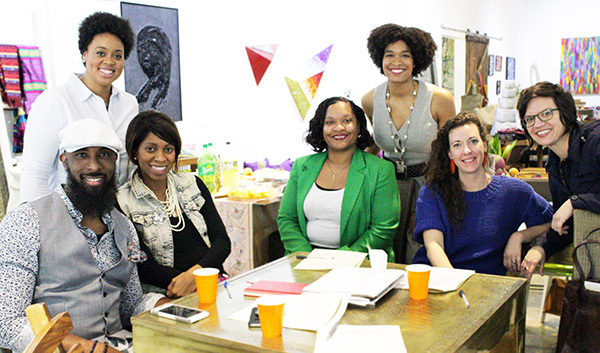 My vision for the Creative Entrepreneur Meetup series is to bring together creative entrepreneurs of all backgrounds for an afternoon of networking, crafting, and creative collaboration. The inaugural event was a true inspiration with many participants coming away with new creative collaborations and networks. We ended the afternoon with a fun creative craft, which involved using a kiln to create stunning enamel pendants. 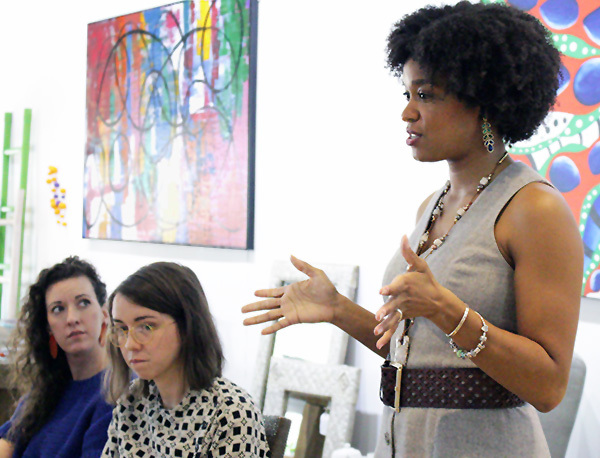 Studio artist and entrepreneurs Kat Cole and Hannah Oatman guided us in our craft activity for the day. Check out the video below to get a behind the scenes look at Interiors by Jacquin‘s first “Creative Entrepreneur Meetup” event! A special thank you to studio artist & metalsmith Kat Cole for participating as a speaker at this event as well as assisting in our awesome craft project. If you haven’t had the opportunity to see the architecturally-inspired jewelry of Kat Cole, then you should definitely watch my recent video interview with Kat Cole in her plant-filled home. Her fine art jewelry creations are truly original! It can be difficult enough to find a general group of entrepreneurs to collaborate with, but I’ve found that that pool of people only becomes smaller when looking for “creative” entrepreneurs. I believe that’s because many people have not been encouraged to turn their creative talents into their business ventures, whether as a youngster or adult professional. It is my hope that my “Creative Entrepreneur Meetup” series will both promote creative entrepreneurship and facilitate creative business collaborations in each city this event takes place. Our next event will be in Dallas this Spring. If you would like to be notified about event registration, please feel free to send me an email. 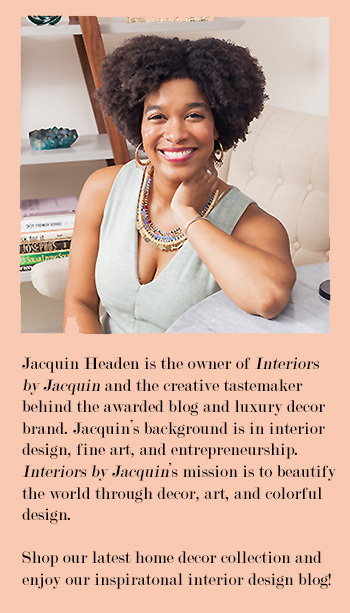 I’d also love to hear from you, what city should be next for Interiors by Jacquin’s CREATIVE ENTREPRENEUR MEETUP series? Are YOU a creative entrepreneur? I’d love to hear about what you’re working on in the comments!